A group of American and Argentinian scientists have published their research into a new meat-eating dinosaur from the Late Cretaceous of Argentina. This new animal named as Aerosteon riocoloradensis which means “air bones from the Rio Colorado” measured around 10 metres long and was perhaps the weight of an Indian elephant. Compared to other predatory dinosaurs discovered in Argentina such as Mapusaurus and Giganotosaurus carolinii, this dinosaur was smaller and from the fossil evidence discovered to date in no way a contender for the biggest carnivorous dinosaur yet found, but in its own way this discovery may be much more significant. For Aerosteon, pronounced Air-ahh-ste-on, seems to provide further evidence of the strong relationship between Theropod dinosaurs and birds. This large animal seems to have had a breathing apparatus similar to modern birds and many of the bones are pneumatised with many air sacs, helping to lighten the skeleton without losing too much skeleton strength. The study of this 85 million year old fossil (Santonian faunal stage), first unearthed 12 years ago indicates that this breathing system and light bones cements further the commonly held view that bipedal, Theropod dinosaurs and birds are closely related. Paul Sereno, of the University of Chicago has worked on a number of new dinosaur discoveries from South America in recent years and writing in a scientific journal Dr Sereno commented on the evidence supporting the theory that this new dinosaur had air sacs that worked like bellows, forcing air into the relatively stiff lungs in a similar process seen in modern birds. “This dinosaur, unlike any other, provides more direct evidence of the bellows involved in bird breathing,” commented Ricardo Martinez of the Universidad National de San Juan, one of Argentina’s leading centres for palaeontological research. The skull replica being proudly shown off by Dr Sereno, shows the characteristic antorbital fenestra and the laterotemporal fenestra seen either side of the eye-socket, adaptations to lighten the skull without reducing the skull’s strength. Like many other Theropod dinosaurs, the scientists behind the research into Aerosteon have suggested that this animal may have been covered with simple proto-feathers, another indication of how closely related to birds some dinosaurs might be. Most palaeontologists now believer that birds evolved from small, feathered Theropods and the earliest birds such as Archaeopteryx share a number of anatomical features with dinosaurs such as Compsognathus. The joint American/Argentinian team believe that this particular dinosaur developed bellow-like lungs to help it keep stable whilst pursuing prey, it may also have helped control body temperature. For a large dinosaur, maintaining a steady body temperature was a lot easier than for the smaller animals with very different surface area to body mass ratios. 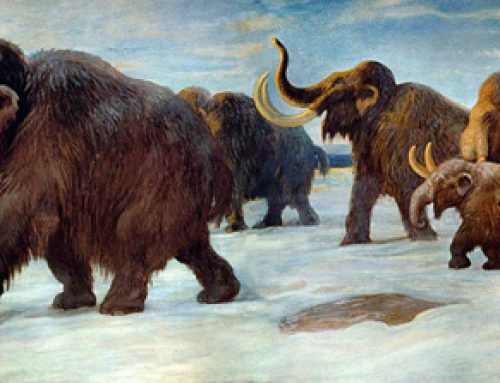 If meat-eaters were warm blooded and insulated with feathers then losing body heat could have been a problem at times. Perhaps the air sacs in the bones helped cool the blood and then over time they became adapted to assist with efficient breathing. With such big leg muscles for example, being able to oxidise muscles efficiently would have been a significant advantage. The mammalian lungs (including our our breathing apparatus) does have a significant drawback, the lungs have only one entrance/exit point for the air. We mix up the exhaled air with new air being breathed in. As we breathe out, we never get rid of all the used air inside us, every time we inhale we just mix fresh air with oxygen extracted air we are going to breathe out. This is not a very efficient process and as a result this contributes to the physical limitations of our bodies. All mammals suffer from this anatomical drawback. Birds, in contrast, are much more efficient breathers. Instead of just one entrance/exit point in the lungs they have openings at both ends, plus a series of air sacs in front and behind the lungs. It is these air sacs, not the lungs that inflate and deflate with each breathe. Acting like bellows they pump the air through the lungs and out a different tube than it went in. This is a one-way system with old, stale air never mixing with fresh oxygen rich air and as a result is a very effective system. For their size, birds have disproportionately large hearts, these provide the pumps to enable the whole system to function. It can be speculated that many bipedal, active meat-eating dinosaurs had breathing systems similar to modern birds, with perhaps, extra large and efficient hearts to pump blood around the body. Soft tissue is rarely preserved in dinosaurs and clearly, much more research is required in this area, but the new study on Aerosteon provides some fresh insight.